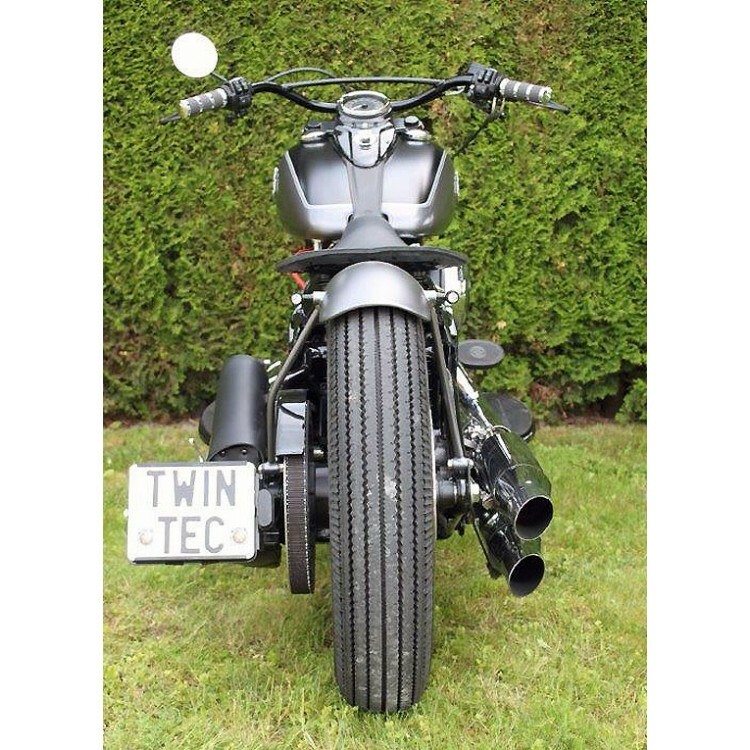 Twin Tec is a Swiss Absinthe made for a Harley Davidson restyling garage. 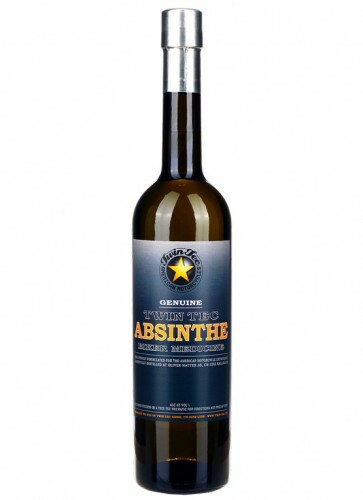 Like a starting Harley engine this Absinthe has a subtle silhouette in the beginning, followed by a full and lush bubbling taste with a roaring thunder in the finish. Twin Tec is a Swiss Absinthe made for a Harley Davidson restyling garage. 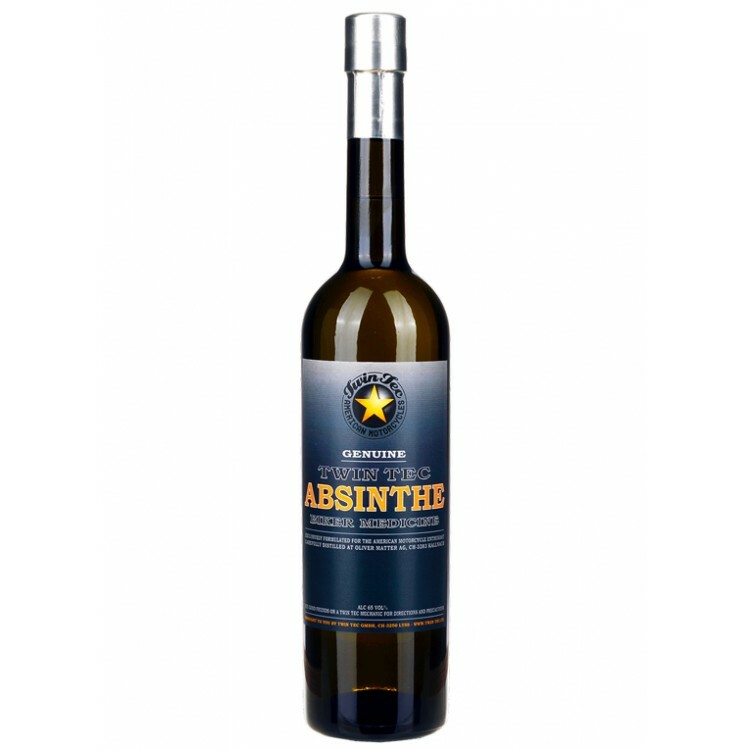 Like a starting Harley engine this Absinthe has a subtle silhouette in the beginning, followed by a full and lush bubbling taste with a roaring thunder in the finish. To create this effect some traditional herbs are replaced with more roaring botanicals. For example Angelica root by mint. The coloration is executed with fine artemisia pontica and powerful hyssop. In its creation phase the motorycyclists of Twin Tec were sampling each fraction of the distillation run and compared the aromas of all botanicals. Finally, the recipe is found and the Absinthe bottled and distributed. Real Absinthe has to be prepared according to the traditional Absinthe ritual. You need a glass of Absinthe, one Absinthe spoon, sugar and ice cold water. In our Absinthe tutorial video you can see how you prepare your Absinthe the traditional Fench way.